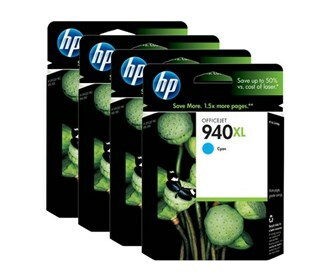 Original HP 950XL, 951XL OfficeJet Bundle Value Pack Ink Cartridges. 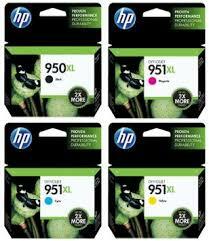 One (1) each of genuine HP 950XL Black, and 950XL Cyan, Magenta & Yellow ink cartridges. Page yield Black ink cartridge 2,300. 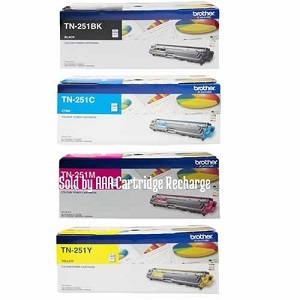 Yellow, Magenta & Cyan ink cartridges, 1,500 pages per colour cartridge. 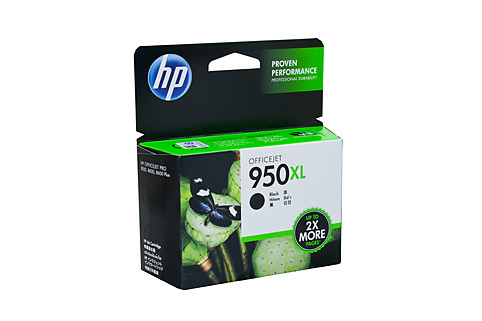 Our HP 950XL, 951XL value pack of original inkjet printer cartridges is great for budget-friendly printing. Four high page yield HP XL cartridges are contained in this package. The pigment inks in the HP 950XL & HP 951XL high capacity ink cartridges can print up to 2,500 black pages and 1,500 pages per colour. 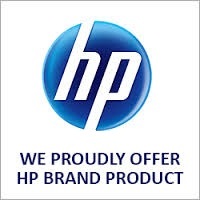 So whether it's laser quality black text or eye-catching colour marketing materials that you are producing, the high capacity HP 950XL / 951XL inkjet printer value pack is the most cost efficient way to purchase ink for HP OfficeJet Pro all in one, 251, 251dw, 276, 276dw, 8100, 8100e, 8600 Plus, 8600 Plus e, 8610, 8610e, 8620, 8620e, 8630, 8630e inkjet printers. HP Vivera Inks uses dual drop technology which allows for enhanced detail for photos which provides smooth, even colour prints and laser quality black. Just think, it is the perfect photo, the family member is framed, the action caught to split second accuracy, now to reproduce and share it. It has terrific depth of colour and true emotion. Are going to trust a clone ink cartridge to reproduce that ? No way. 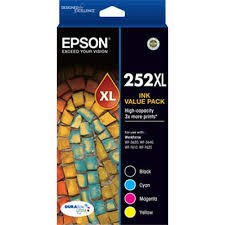 There is no need to spend large amounts of money when buying original HP ink cartridges from traditional retail stores when HP XL longer life cartridges will help to maximise your printer's output, and come at a discount price delivered to your door like our original HP 950XL Black, 951XL Cyan, Magenta & Yellow rainbow value pack. Print more for less. See your printer manual for page yield comparisons of all suitable cartridges. Start your cheaper printing experience today with a rainbow value pack of HP Genuine 950XL Black and 951XL Cyan, Magenta & Yellow ink cartridges. Rapid overnight low cost air courier to the majority of Australia.